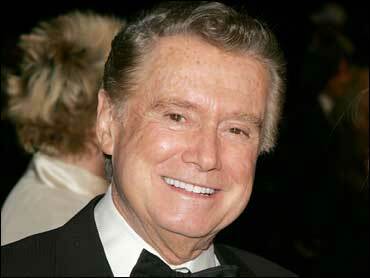 Regis To Host "Million Dollar Password"
A new version of the classic game show "Password" is coming to CBS with Regis Philbin as host. The network said Thursday it's ordered six episodes of "Million Dollar Password" and plans to air the program early next year. "I'm thrilled to be part of this great show that I remember so well from a few years ago," Philbin said in a statement. "It was a very classy production and Allen Ludden was so terrific." Ludden, who died in 1981, was host of the original "Password," which debuted as a CBS daytime show in 1961 before moving to prime-time. Later versions of the show also ran in syndication and on NBC through the 1980s with Tom Kennedy and then Bert Convy as host. As with the original "Password," the updated version will feature two teams each made up of a celebrity and a contestant. The teams will compete to guess a password revealed to the studio audience and viewers. The team with the highest score can decide to keep its winnings or try to reach a final round with a $1 million grand prize, said producer FremantleMedia North America. The show will be taped in New York. The new "Password" will bring Philbin back as a prime-time game show host, following up on his huge success on "Who Wants to Be a Millionaire" for ABC from 2000-02 and his gig last summer as host for NBC's "America's Got Talent." Throughout his many adventures in broadcasting, Philbin has hung on to his day job. His talk show with Kelly Ripa, "Live with Regis and Kelly," is in its 20th season.